BLACKTHORNE ! 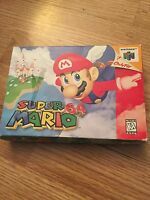 Super Nintendo SNES Complete in Box CIB *Authentic* *Tested* MINT! 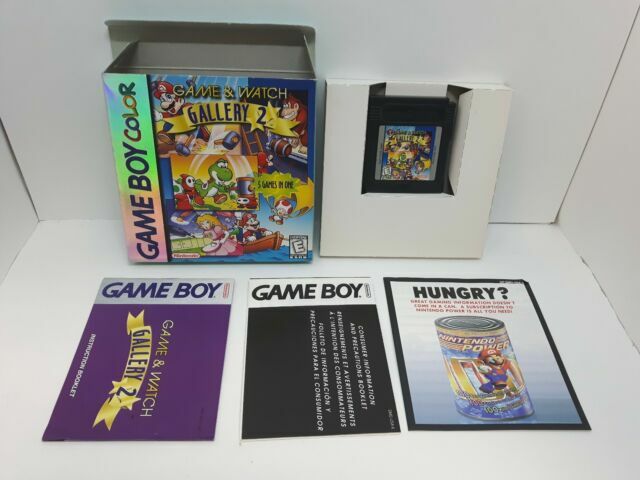 The second title to be released in the series and the first to be designed to take advantage of the Game Boy Color's more varied palette, Game & Watch Gallery 2 presents players with Modern and Classic incarnations of five Game & Watch titles: "Chef," "Parachute," "Donkey Kong," "Vermin," and "Helmet." The Classic versions of each game emulate the play found in the original titles, while the Modern variations add new gameplay elements as they place familiar Nintendo characters (as opposed to Mr. Game & Watch) in precarious situations. "Chef" sees players trying to continuously balance various food items using two frying pans. The objective here is to ensure that food does not fall on the floor or get snatched by a cat lurking above. In "Parachute," players attempt to maneuver a small rowboat across the screen, catching parachutists as they fall from the sky. Reminiscent of the NES title of the same name, "Donkey Kong" requires players to save the princess from the barrel-hurling simian by avoiding traps and unhooking the cable supports of the platform on which he rests. "Vermin" has players trying to stave off the advances of numerous moles by simply hitting them on the head with a mallet as they emerge from the ground. As a hapless worker in "Helmet," players must avoid falling objects while making for the safety of a shed. The door will at times remain shut, forcing players to dodge objects until it opens again. In many of the titles, failing three times will see the game end. Accruing points in each of the games will reward diligent players with stars that can in turn be used to unlock extra content such as a sixth hidden Game & Watch title and museum and sound modes. Play five different Game & Watch titles: "Chef," "Parachute," "Donkey Kong," "Vermin" and "Helmet"
I give this game 5 out of 5 stars? Why? Because I love the original Game & Watch games produced from Nintendo. They were extremely fun for games produced in the the 1980's. This game for the gameboy system allows you to play many of the old classics that Nintendo first produced. Its AMAZING. It also re-creates the games to more modern day play. It's really fun. Even has Donkey Kong and Mario. It's one of those games that you can come back and fourth too, trying to beat your old score. It's not one of those games that you will just get bored of, and toss in the back of your closest. You want a game that you can play over and over again for hours? Then Buy this item from Nintendo! EXCELLENT! Hi!! I'm 25, and i just LOVE gameboy, since the first model got out, also I had the Donkey Kong II handheld game there in early '90 . I'm from Croatia, and people here aren't really using gameboys because they have always been very expensive. Since I'm a member of eBay, I got the chance to buy it for a small sume of money, and I just had to have it.. :-) Only thing I dislike about it is that it doesn't have a lighted screen(outer,original light is an option), but I already found some used, cheap Advance SP models, and I will go for it, and my nephews will get the advance because they LOVE IT).. Nintendo is the best game console manufacturer, and if you got any modell you won't regreat it.. ever.. so.. just....prepare to want one!!!! :-D ENJOY!!!!!!!!!!!!!!!!!! The box looks like barely out of the store and i love they put a plasti protection on the box. Game boy chip the kids love. Clean fun for the kids. I bid on this game knowing I would not have to check out what my kids were playing. This is a good clean game for my kids to play. I have 5 kids and all of them can have fun playing it. It is good for any age child. Must play if into Game & Watch games. I use to collect game & watch games, and I know up to this day they are worth a lot and antiques. This just brings it back old school and revamped fun games to play and kills time on the fly.